Dr. Savard has served as the Senior Research Professor for the School of Business and Technical Management at Northcentral University in Prescott Valley, Arizona. Dr. Savard currently serves as a Senior DBA Methodologist for the Doctor of Business Administration (DBA) Program at Walden University. Jim also serves on the DBA Petitions Committee and is a member of the Walden University Institutional Review Board (IRB). Dr. Savard has over 25-years’ experience with three Fortune 500 companies, 18 in management and leadership capacities, and is President and Chief Executive Officer for AvEx International, Corporation, a subcontractor to Federal Express Home Delivery. 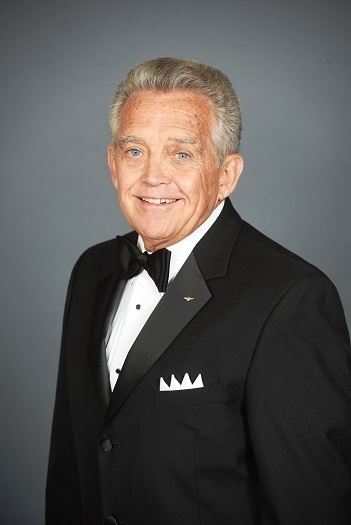 Jim also has served as the Center Faculty Chairman for Embry-Riddle Aeronautical University. Dr. Savard is a 1965 graduate of the United States Naval Academy in Annapolis, Maryland where he was awarded a Bachelor of Science in Aeronautical Engineering and Leadership. Jim has also been awarded a Master of Science in Management from Regis University with cognates in Organizational Development, Management, and Leadership; a Master of Aeronautical Science from Embry-Riddle Aeronautical University with cognates in Management and Aeronautical Science; and he has acquired Advanced Certification in Geographic Information Systems (GIS) from Denver University. Dr. Savard earned his Ph.D. in Business Administration in 2007 with specializations in Management and Aeronautical Science. Savard, J. F. . The Sarbanes-Oxley Act of 2002 and the Verities of the Enhanced Standards Provided by the Legislation . Savard, J. F. (2014). Homeland Security, Business Continuity, and Business First Responders: Much More than Lines at the Airport. Naval Postgraduate School - University and Agency Partnership Initiative. Savard, J. F. (2012). Duty, Honor, Country - Educating Heroes. Department of Defense. Savard, J. F. (2004). The Modular Incorporation of Digital Taxi Charts into the Air Traffic Management System. SAE.